ETTU Development manager Neven CEGNAR visited Andorra’s town La Massana as a part of the ETTU National Association Assistance Program Project. In the state at the edge of the Pyrenees. 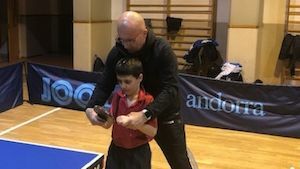 “It is amazing how much Andorra, with population of approximately 60.000 people, work hard to develop table tennis in their country. They receive huge support from Ministry of Sport as from the entire Government I am very happy and proud to be here with the best young players, big talent eight years old Oriol MARTINEZ and coaches from Andorra. I have also great pleasure to meet with President of ADTTF Mr. Lluis ROVIRA and President of local TTCNV Mr. Antonio GOMEZ as well as with Serbian coach Daniel CONIC”, said CEGNAR. 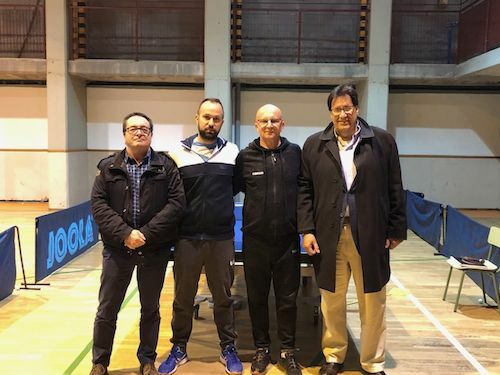 ADTTF President Lluis ROVIRA and President of local TTCNV Mr. Antonio Martinez GOMEZ created a solid base for coaches to work with youngsters and secure good future for table tennis in Andorra.